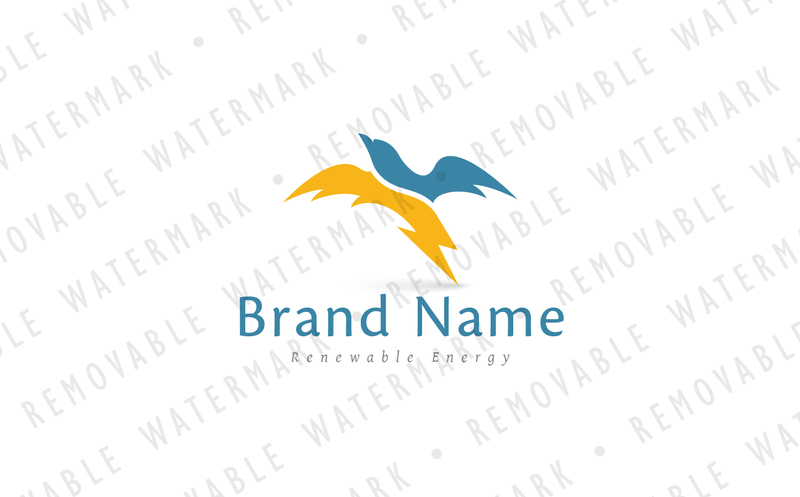 Logo template with idea of stylized bird combined with lightning bolt. Lightning can symbolize speed or energy. Bird can symbolize movement, but also trustfulness and flexibility. Additionally, shape of wings can evoke feeling of cover, shelter or protection. Theme can be interesting for power and energy services, renewable energy, consulting, travel, transportation, security or technology companies, airlines, delivery services and similar. Available versions: colored version for white background, colored version for black background, black / grayscale version. Fully customizable text, font, colors, size, etc.